Your 30 Day Diet & Fitness Challenge Is Here! Let’s Get it! Happy Sunday Everyone! Tomorrow, Monday April 28th is the start of our next 30 day challenge! You have 2 options on this challenge you can do what I’m going to do and that is Eat Clean for 30 straight days that means no processed foods, no artificial sweeteners & no white or brown carbs. So basically what you can eat is meat, vegetables, fruit, unsweetened Greek yogurt, unsweetened almond milk, beans, nuts, hummus, seeds, black coffee, tea & water!!! The other 30 day challenge food option is to do the same as the above but you can have brown carbs once per day so that includes whole wheat bread, whole wheat pasta, brown rice or sweet potatoes. In addition you commit to working out at least 3-5 days a week for at least 30-60 minutes with at least 2-3 days a week of strength training exercises. I personally recommend you do some type of circuit workout that includes both strength and cardio within the scope of the workout. I also challenge you to sleep at least 7-9 hours per night. Experts in the health & wellness field recommend that amount of sleep for overall wellness and to aid in weight loss. Did you know that if you get less than 7-9 hours of sleep per day that it will actually work against your weight loss efforts? Yes it is true! So let’s make getting sleep a priority going forward. Monday morning please weigh yourself so you can get your starting point. Also take a picture of yourself & if possible measure yourself today. Lastly download the MyFitnessPal app and track your food intake daily to ensure you are staying within your daily calorie allotment. Make sure you add me as a friend on there so I can check on your progress along the way! So let’s get ready, get set and let’s go on this next 30 day challenge starting tomorrow! I’m here to support you! Let me know what questions you have! 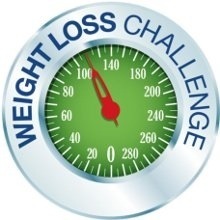 Make sure you have your doctor’s consent prior to starting this or any other diet & exercise challenge. I’m believing & praying for your success!!! You CAN do it!!! Previous Post It’s Our Final Weigh In Day! Next Post 6 Critical Keys To Your Success On This Diet & Fitness Challenge!